Middle East and Africa are classified as restricted nationals by Vietnam government. Nationals from these countries have little chance of getting approval for the visa at embassy. If you fail to meet visa requirement from embassy, it’s time to get helped from an agency to have peace of mind. And Vietnam Visa Easy is one of agencies that can turn Vietnam visa process for Middle East/Africa into easy job. We are well aware that it’s hard to earn your trust without proving our legality. Here is some of necessary information you may be curious about us. Vietnam Visa Easy is established on 2011 with company registration number 0105846047. Over the past 6 years, we have provided immigration service to thousands of travelers from various countries including Middle East and Africa. Increasing repeat customer rate is the best evidence for our customer service. If our words are not enough, we would like to invite you to visit our FB pageor YouTube chanel to hear what customers say about our service. 2. Secure: we never charge for what we cannot do. When you place visa order at our company, your visa is secure. If your application is not approved, we are willing to refund 100% of the paid money. 3. Quick: It just takes a few minutes to apply and a couple of days to get approval. 5. Affordable: we public the price and review it monthly to remain the most competitive price. The time between visa issuance and expiration date is visa validity. The visa validity is the length of time you are permitted to stay in Vietnam. Please take note that the visa becomes effective from intended date of travel in application, not from the date of application. • Vietnam tourist visa (visa category DL) is often used for tourism purpose. It can be valid from 1 month to 3 months depending on your country. Please read our related posts below to find out how long you can stay in Vietnam as a tourist. • Vietnam business visa (visa category DN): is strictly issued to businessmen. You may visit Vietnam (single and multiple entry) for up to 12 months on a business visa. In this post, we will mention only about how to get a Vietnam tourist visa for nationals from Middle East and Africa. If you are looking for an entry visa for business purpose, please kindly contact us directly for assistance. • Scanned copy of passport: make sure your passport is valid for at least 6 months prior to date of travel. Otherwise, you may be denied boarding plane. We believe that you do not expect this at all, do you? • Best-estimated travel date: please be aware that this will be the first day of visa validity. It’s not obligatory to enter Vietnam on the travel date submitted. The travel date can be anytime providing the visa is still valid at that time. • Port of entry: Currently, Vietnam remains 5 international airports including Tan Son Nhat, Noi Bai, Da Nang, Cat Bi, Cam Ranh and Phu Quoc. We receive applications through email [email protected]. Shortly after you submit application, we will reply with a payment link. You will have to make full payment to get processing started. Please kindly read our Terms and Conditionsfor more information about refund policy. Interested in the visa price? The approval letter is usually sent along with an entry/exit form via email within 3-7 business days. For some countries, we can reduce processing time to 1 business day for additional fee. If you do not find the approval in the inbox, try searching for it in the junk or spam folder before reaching us for assistance. A typical letter of approval always includes your personal details, period of visa validity, purpose of visit and port of entry. Once you receive the letter, it’s worth checking it for error. Any errors must be reported to us immediately for correction. • 01 passport-sized photo taken against white background, no hat, no glasses, straight face. Then find a seat and wait until the officer calls your name. Then you pay him stamping fee and get the passport back with a payment receipt. Once again, don’t forget to check the visa stamp before leaving the counter. Note: Stamping fee must be paid by cash, either in USD or VND. You may be interested: stamping assistance service may help you get rid of the queue and collect visa at once. Hopefully, you find our post Vietnam visa for Middle East and Africa informative. If you have any inquiries, please leave it in the comment box below or send to us via email. We always welcome all shares and likes for this post. Thanks you very much for visiting us! 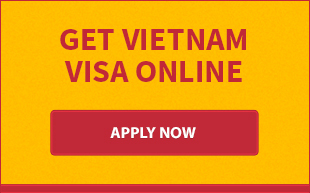 With Vietnam Visa Easy, you can put aside all of your concerns. We are totally capable of providing the fastest and safest Vietnam visa service for Turkish passport holders. You are holding Nigerian passport? Contact with us to get rid of hassle while obtaining visa for Vietnam. We guarantee your visa within 1 week only. We, Vietnam Visa Easy, always keep the most competitive charges for Middle East counties traveling to Vietnam. Enter here to find pricing table. We understand that procedure and charges are always tops concerns when you seeking a visa for Vietnam from Africa. 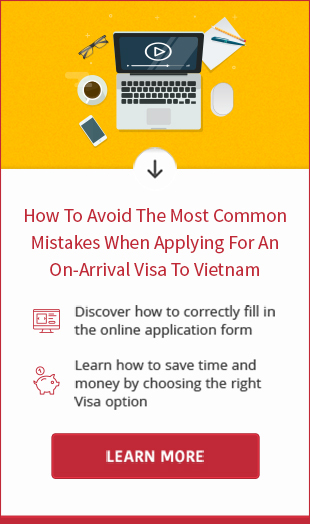 That's why we release this post, to help you work out Vietnam visa fee. Relax! 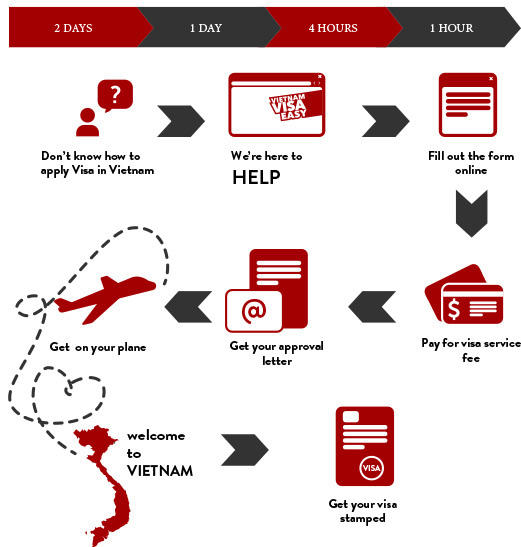 You will be surprised on how easy your Vietnam visa process can be with us. Visit our page for more details. Jordanian passport holder can always believe in us on obtaining your visa to Vietnam. We guarantee your visa within one week. Vietnamvisa-easy is here to provide the safest method to obtain entry visa to Vietnam for Pakistanis. No extra fee, no hassle. Vietnam visa applicants from Iran can be pretty chill with us. We can secure your visa within 1 week only. No hassle and extra fee. You are finding the way to get visa to Vietnam from Kenya? Don't look further. We have everything you need here. Check it out now.